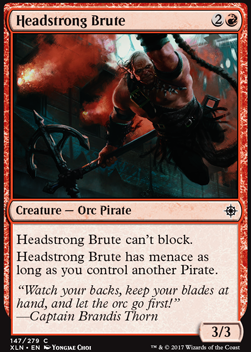 Headstrong Brute has menace as long as you control another Pirate. Skinken on Let's Start a Band! Gorfin You are correct, banding on it's own is pretty straight forward, and honestly on the weak side. What makes it complex is combining banding with other mechanics. There are a bunch of stuff i still dont get. 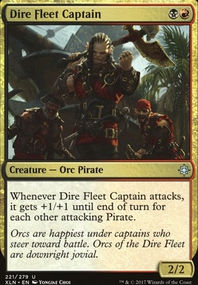 Say your opponent is attacking with Headstrong Brute along with Kari Zev, Skyship Raider. You, on the defence, have a Youthful Knight, an Icatian Phalanx and Trueheart Duelist and a cat token with vigilance. You choose in what order Headstrong Brute hits your band. But your opponent gets to decide if he hits the Youthful Knight before the band. Correct? I believe so, what I don't understand is, who declares first? The order of the band, or the order of Youthful Knight and the band. It might affect the choice and gamestate a ton. 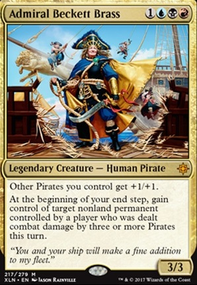 Secondly someone gets to decide if the band blocks Headstrong Brute or Kari Zev, Skyship Raider first. When is this choice made? 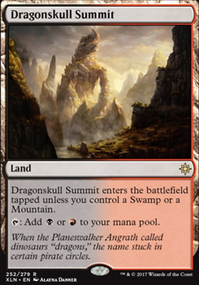 This is a case with a total of 6 creatures on the board, only 1 with banding. 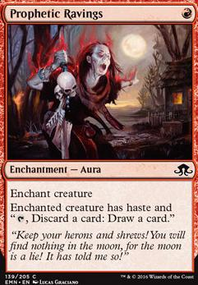 No combat tricks or additional confusion with enchantments. 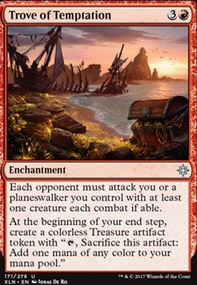 Imagine a boardstate with 6 creatures with banding, redirect damage spells, combat tricks, equipmnents, auras, evasion and 23 creatures, everything split among 3 players. Each combat step would take about 10 min. When someone then plays Breath of Fury i'd probably just scoop... I don't really want combat to last 20-45 min.